While Kylo Ren’s instruction to “let the past die” is often singled out as the definitive line of Star Wars: The Last Jedi, Rian Johnson’s 2017 blockbuster actually has quite a few visual callbacks to previous entries in the saga. One of the most obvious examples is the scene where Luke Skywalker stares out at a binary sunset in his final moments, ending his journey in much the way that it began. But as Reddit user Coolwali observes, a subtler moment of symmetry is witnessed shortly beforehand, when Luke reunites with his sister Leia Organa for the last time. Of course, we now know that Mark Hamill’s character was never really on Crait, but was merely a projection. How appropriate, then, that the first time Luke sees Leia, she was the one who was projected, appearing to the young hero as a hologram in A New Hope. 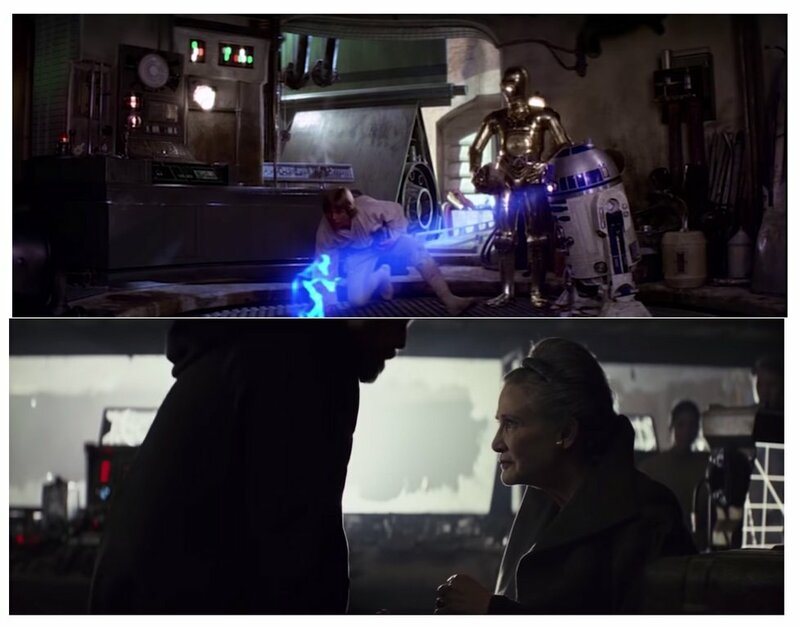 If the similarity between Luke and Leia’s first and last encounters is purely coincidental, then it’s still a poignant little parallel, though there’s reason to believe that Johnson knew exactly what he was doing. To elaborate, Luke doesn’t just see Leia for the first time in A New Hope via hologram. He also sees her for the first time in The Last Jedi in that exact same hologram, projected once more by R2-D2 during a scene on Ahch-To. Regardless, while Luke passed away at the end of Star Wars: The Last Jedi, Mark Hamill is confirmed to reprise his role for Star Wars: Episode IX, most likely via flashback or Force Ghost. And we’ll find out if the saga’s most famous Jedi can get one last reunion with Leia when the film hits theaters on December 20th, 2019.